Licensed, Insured, and Bonded services. We offer 10% off on all business moves! 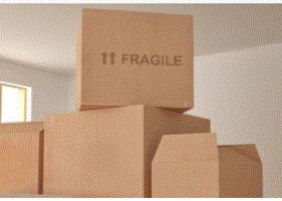 Packing & Moving supplies for your move. All Crew movers of our Moving company are fully prepared, equipped, and ready to make your moving process as straightline as possible for you, your family, and your Household Goods. Since we specialize in the local Austin and Central Texas areas, keeping a low pricing policy is an essential thing for us! Rest assure that whatever the Season, our fees are Fair and Square! Tips on All Kinds of Moving! Who doesn't like paying less. Our affordable pricing makes it possible for everyone to afford professional services. But if you do find a cheaper price from a Licensed provider, we will Price Match it! Highly Reviewed by satisfied Customers. We hold an honorable 93% recurring rate with 90% of our clients referring their friends and family. We must be doing something Right! We only use Professional Grade Moving Trucks and Mover-Grade Equipment. Our movers are professional, experienced, and uniformed. From a dream to a reality, Moving Squad was started as a 2nd source of income by an Austinee family. After long, hard-working hot-&-cold, rainy-&-icy days, we now own a Fleet of Moving Trucks, with amazing, professional Personnel who we call Family, and are Respected and Recommended by all the Moving Industry. Download your Moving Informative Brochure Here. Download your Residential Moving Checklist Here. Download your TxDMV's Moving Checklist Here. TxDMV's Your Rights & Responsibilities Brochure. "This was one of the most pleasant experiences I've had with a moving company....Moving Squad handled my multi-stop move seamlessly. The business has a mom and pop feel to it and I felt like they really cared about the moving services they were providing. Overall I 100% recommend this moving company....In fact, I recommended them to a friend and she reported the same satisfaction!." Use Messenger to Chat w/ Us!